In early June, Color Marketing Group held the third annual ChromaZone® Color Forecasting Workshop hosted by Art Center College of Design, CMTEL, Pasadena, CA. “We had the largest gathering to date at Art Center’s Color, Materials, and Trends Exploration Laboratory (CMTEL)”, said Sampson. On a sunny Saturday morning, our group, comprised of textile, interior, product, and graphic designers, product design students, consumer goods and paint manufacturers, and Art Center faculty and alumni, gathered to collaborate on the future of colors across multiple industries. Based in Southern California, the Pasadena ChromaZone® draws attendees mainly from the Los Angeles area. “By holding this color forecast workshop at Art Center, many of the multi-disciplined students bring a fresh millennial and global aspect to the workshop that we typically do not see at other regional ChromaZones,” says Sampson. 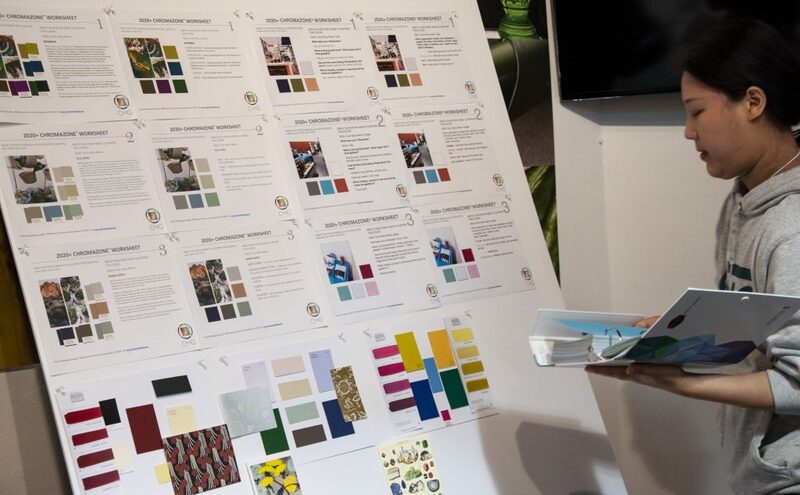 Sampson, VP of PR & Communications for CMG, presented a brief overview of the color tools provided by CMG member companies and utilized in the color design forecasting process. The NCS Colour system is employed as a standard throughout the CMG color forecasting process. RAL Colours, Pantone, X-rite and Munsell color systems are also core to the CMG forecasting process. Our host, Marshall Hamachi, Associate Director of CMTEL and Associate Professor, Graduate Industrial Design at Art Center, presented an informative talk highlighting the rich resources that CMTEL provides the students and faculty for developing color, materials, and finishes in their product design processes. how humanity + machine interactions are becoming more personal. 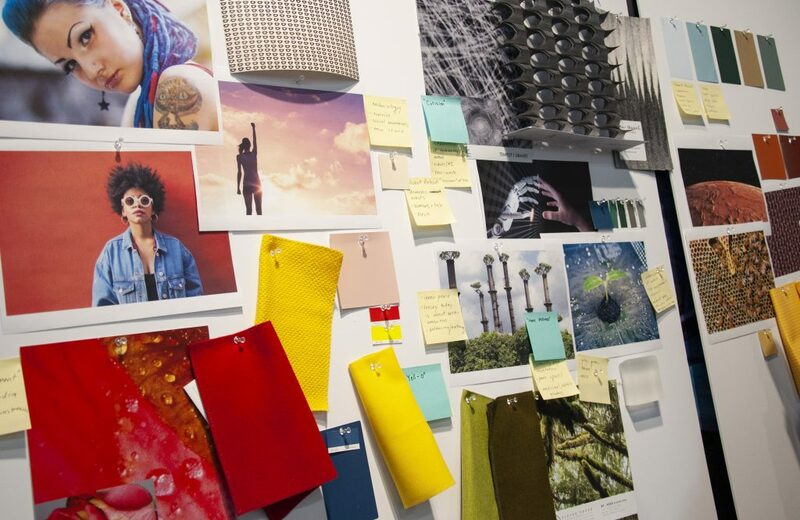 A special thank you to CMTEL for hosting the color forecasting workshop at Art Center College of Design.